The Frog hybrid bike is the perfect all rounder kids’ bike. It is the ideal multi purpose bike for any child that wants to cycle in multiple disciplines, from forest trails to riding to school. This 20 inch kids’ bike is the ideal multi purpose geared bike for 5 or 6 year olds with a minimum inside leg of 52cm. .
Red, Purple, Orange, Spotty, Union Jack, Green, Pink and Team Sky Black. This 20 inch kids’ bike is a great geared bike for 6 or 7 year olds with a minimum inside leg of 55cm. This 24 inch kids’ bike is a great hybrid for 8 or 10 year olds with a minimum inside leg of 62cm. 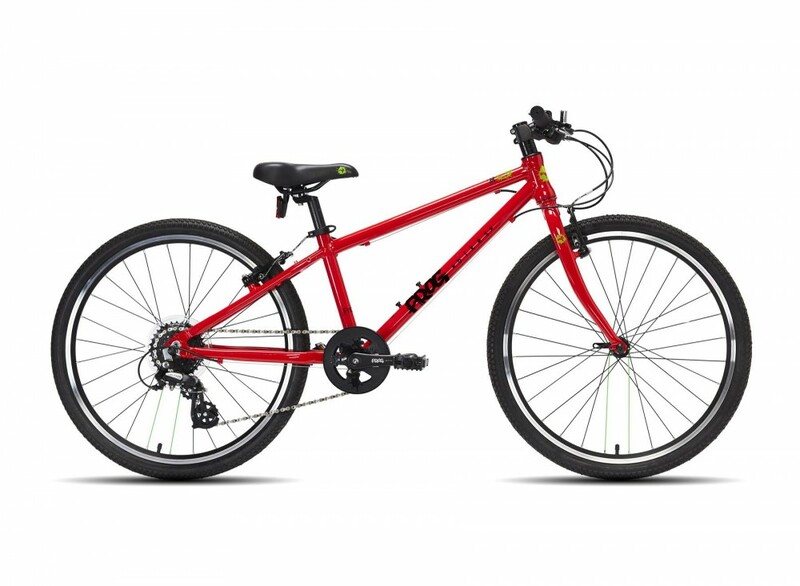 This 26 inch kids’ bike is a great hybrid for 10-12 year olds with a minimum inside leg of 62cm. Red, Purple, Orange, Union Jack, Green and Team Sky Black. This 26 inch kids’ bike is a great hybrid for 12-14 year olds with a minimum inside leg of 73cm.